Our stay was quiet and relaxing having in mind that coincided with the EU Summit. The apartment has a superb setting. Nissar was quite diligent. Our experience was pretty good. I think that your offer of apartments at Rome is excellent so we will go through your website for our next trip to Rome. The location could not be beat, super central to all sites and great restaurants and shopping nearby. Comfortable space, plenty of room for 2 or 3 couples. Wow! Fabulous, large, well equipped, beautiful apartment in a sensational location. It was ideal for myself and my 2 adult sons. 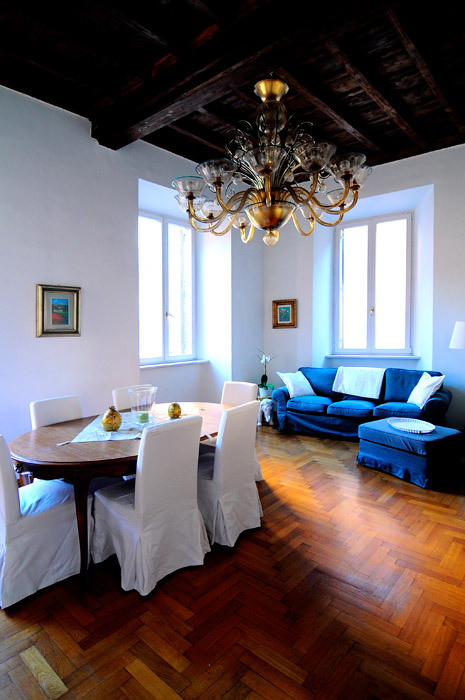 Parquet floors and high ceilings give this large family apartment a cozy yet elegant atmosphere. The living area features a big wooden table with chairs, a design chandelier (made in Murano), a leather armchair, a flat screen 32″ TV, a DVD player, and wireless Internet access. 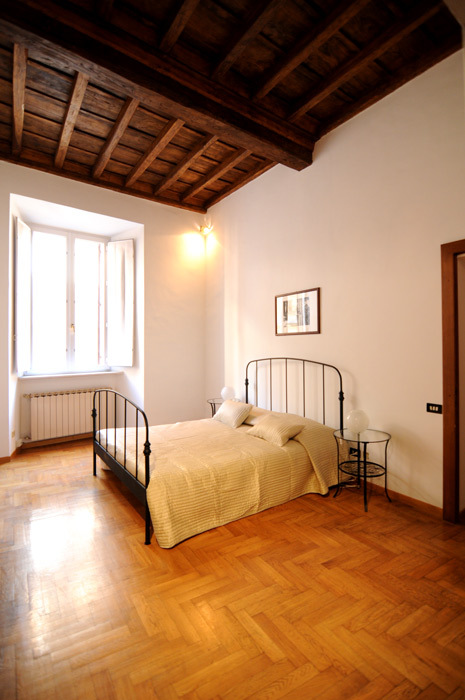 This room also exhibits a lovely view of the church of Maddalena and its Baroque details. Altogether you will find a relaxing and comfortable environment in which to relax after a long day of exploring. 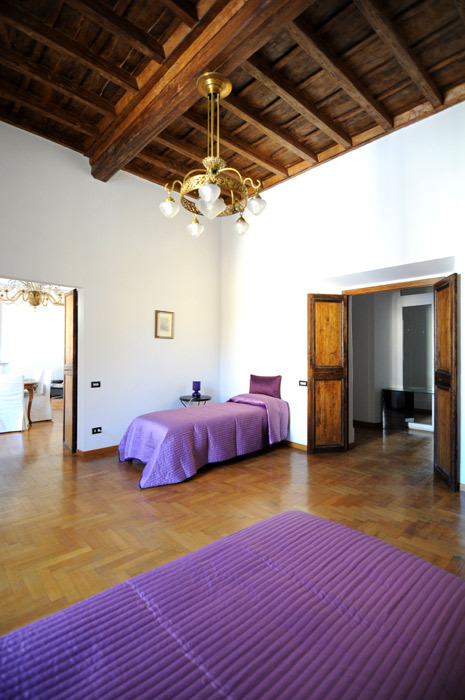 The apartment has three spacious separate bedrooms: two offer queen-size beds and one provides two single beds. In every room, you will moreover find closets, night tables, and night lamps. 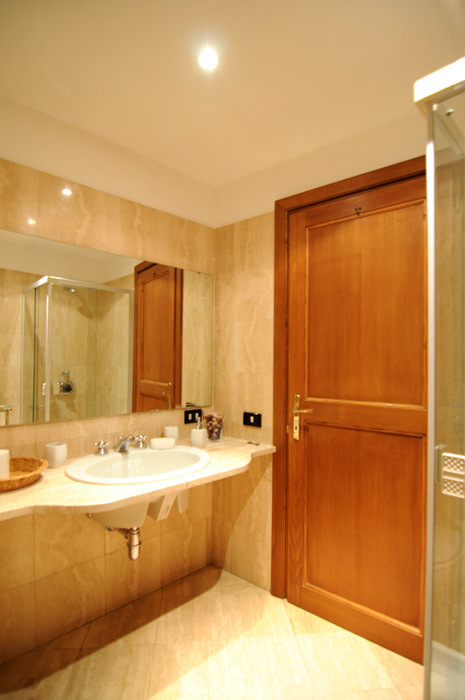 Right by the bedrooms you can access two bathrooms, one with a shower and the other with a bathtub. The kitchen is well equipped and features a gas stove, an oven, a microwave, a kettle, a toaster, a dishwasher, a fridge and also a freezer. This is the perfect space in which to cook up a hearty breakfast, a quick lunch or even a sumptuous evening meal for all the guests. Of course, you can then enjoy this around the delightful dining table in the living area. We highly recommend this airy characteristic apartment for its great location and for its coziness and comfort. The apartment lies just steps from the awe-inspiring Pantheon. 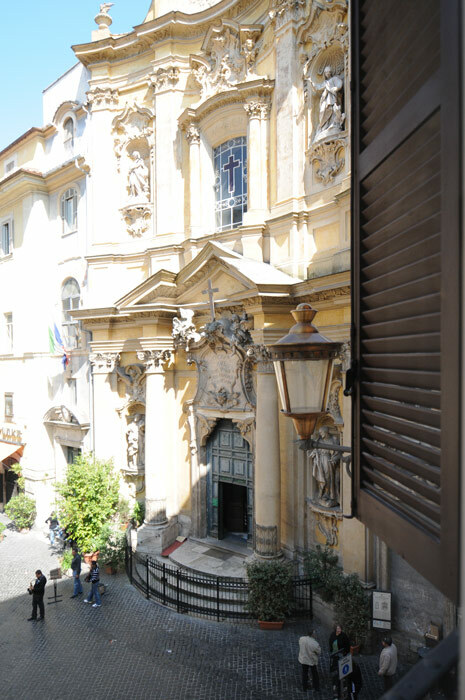 This impressive structure is also very near to the Piazza Navona and its surrounding area. This is a great place to head towards the evening, when it is at its liveliest. It offers innumerable restaurants and bars in which to enjoy a meal or aperitivo and people watch. In addition to this, you will find banks, post offices, pharmacies and supermarkets in the area. We highly recommend heading down to the Campo de’ Fiori in the morning, to pick up some fresh produce for a home-made meal. This property puts you in a great place to explore the rest of Rome, too. Within easy walking distance, you will find the Piazza Venezia, Trevi Fountain, Spanish Steps, and the Piazza del Popolo. The latter backs onto the beautiful Villa Borghese park, with its stunning views from the Pincio Terrace. This is a perfect place for families, whose children can release some energy in the park’s greenery, or even hire a boat in its small lake. The best time to visit the Trevi Fountain, on the other hand, is at night. Head here towards midnight to experience the fountain with a greatly diminished crowd of onlookers. Moreover, you can enjoy the beautiful illuminations that are only visible at night. The location of this apartment is likely second to none. Right near the Pantheon and several Piazzas. Great restaurants and bars, all family friendly (though mine are young adults anyway). Busy time of year but the apartment was an airy retreat. You can hear the sounds of the historic city and restaurants nearby when the shutters are open but not s...Read Moreo much when closed. Notice I didn't say 'noise' because the sounds from the Piazza below were the sounds of people having fun and never went on too late. On two nights there were impromptu Opera renditions from guests in the restaurants below and on others 'buskers' renditioning the very finest Ave Maria and Nessun Dorma I have ever heard! Apartment was clean and well equipped and very atmospheric. It felt like you were part of historic Rome. 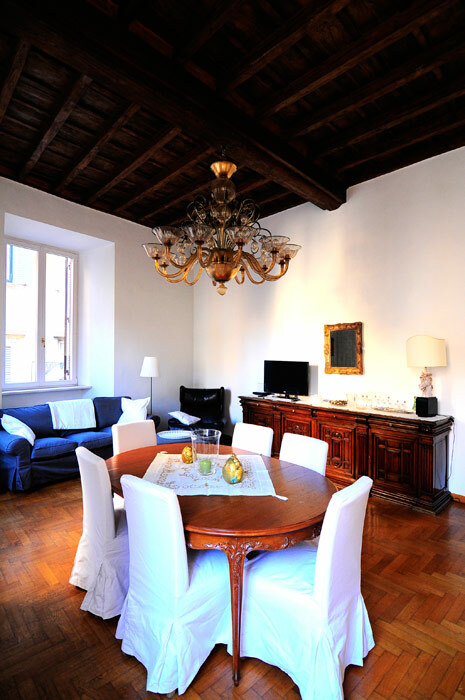 Nissar was superbly nice and helpful and everything we arranged through Rome Loft ran to schedule and as booked. Thanks for a fantastic 5 days! Excellent Choice for our first time in Rome. 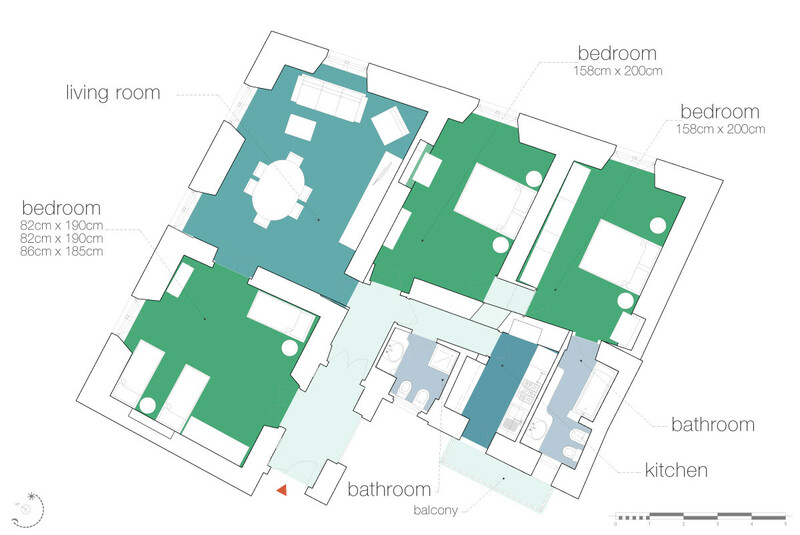 The apartment was more than spacious for our needs and also central in order to explore Rome's attractions by foot. It fits perfectly for large groups of friends or families as it has 3 separate bedrooms and 2 bathrooms but also a large living/dining room. 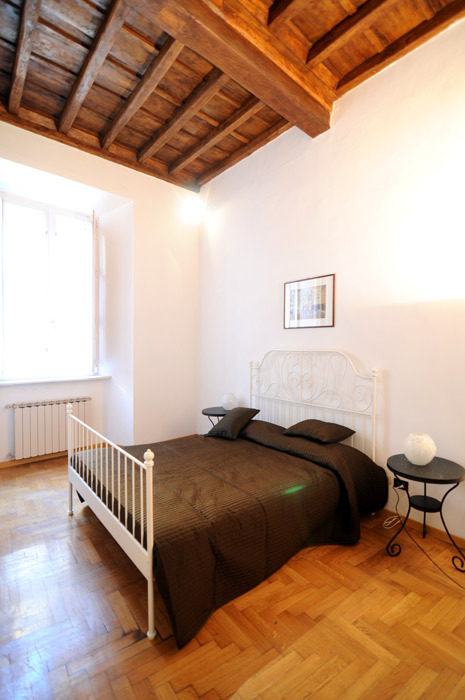 Its located just 2 minutes walking dist...Read Moreance from Pantheon and 5 minutes from Piazza Navona. We were allowed a late checkout free of charge and we'll definitely book the same place on our next visit. We didn't use the kitchen once, but the rooms are spacious with plenty of storage. Views from the living room are wonderful and ok, the noise from the piazza below can be loud, but we all loved the ambience and it will remind you that you are in the heart of a fantastically fun city. Kids loved their room above the piazza and could wave at a f...Read Moreew of us down in the bar in the piazza below!! 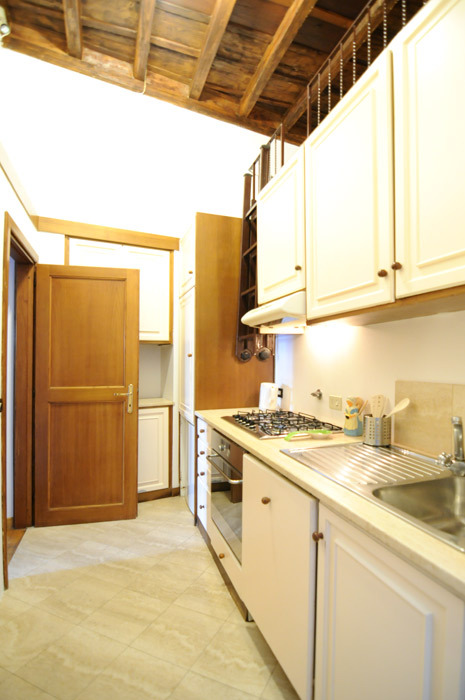 The apartment has the perfect location - around the block from Pantheon and witihin walking distance of most major sights. Rooms are very spacious and the apartment itself is in great condition. All contact with the host was very effective. Replies usually came within an hour. Check-in and check-out with no hassle. For a group of 6, this apartm...Read Moreent saves a lot of money compared to a hotel and gives a much better experience. Can definitely recommend. We enjoyed very much the apartment for our family of 5. We stayed 3 nights in July. It was extremely spacious. Beds were firm but comfortable. It over looks a piazza which can be noisy but we really enjoyed hearing the hustle and bustle of Italian night life. When booking I forgot to check if it had air conditioning. As it was summer and we experie...Read Morenced 35 degree days I would have really appreciated some. Otherwise it suited us perfectly. We stayed in the appartment for 4 days. It was comfortable, clean,spacious and the rooms are huge. A great family holiday to get together and spend time in this beautiful city. The appartment was in the best possible location, walking distance to everything - perfect! Only minus is that it could be a little loud outside the appartment, that you could hear noise from the street. But the flat was big and nice, with everything you need. Grazie mille! 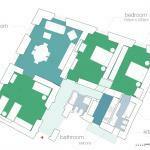 GREAT apartment, huge, in a lovely little square. Loved having a common living room space for relaxing -- versus being sequestered in box sized hotel rooms or paying for an expensive hotel suite when traveling with friends. Steps from the Pantheon and great restaurants, so centrally located we walked everywhere. Also, convenient markets and shop...Read Mores for supplies steps away as well. Highly recommend this apartment. Thank you, Lorenzo, for arranging airport transfers and someone to meet us at the apartment, everything went very smoothly. Huge apartment centrally located, though this means you get a fair bit of noise - the Plaza da Madellana is packed with restaurants which is great but does create noise - this seems to all end quite early, around 11pm most nights. The flat has lots of character but is quite sparsely furnished. Note that as Rome Loft say i) no air con but we were th...Read Moreere in August and didn't really suffer and ii) it's 2nd floor with no lift. I'm 49 and managed fine with lots of luggage from a 2 week holiday. We could not get to the washing machine but I guess Rome Loft would have unlocked the relevant door if we'd asked. Rome Loft we overall really helpful. 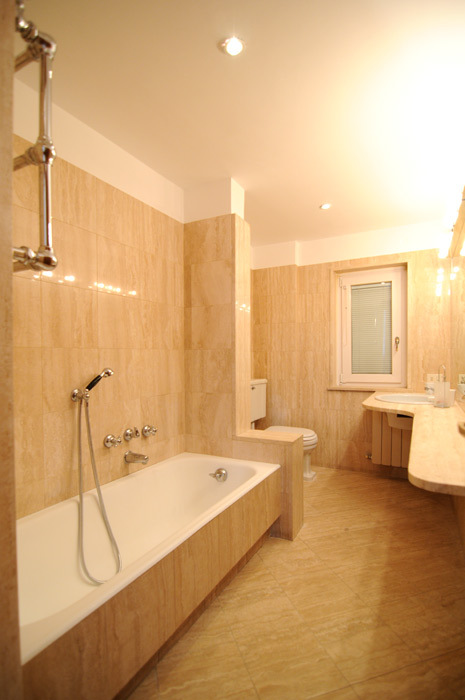 Excellent location, great appartment, large, clean and convenient. Have all what is needed. Most recommended. Thank you so much for the wonderful accomodation at the Pantheon flat. We came with our three children and could not have been happier. The flat was spacious with fabulous high ceilings and every room was large and airy. The position was also fantastic and we loved being part of the hubbub of Rome at night. Thank you again for a wonderful few d...Read Moreays - we didn't want to leave. We come to Rome many times each year and have stayed in many apartments and hotels but we have now found our Roman home- Thank you we will be back. Great apartment. Well maintained and close to restaurants and local attractions. Pick up to and from airport was a breeze. Thanks for giving my family a vacation they wont forget. Gorgeous apartment, very chic. Comfortable and clean. Large. Loved it and would rent again.